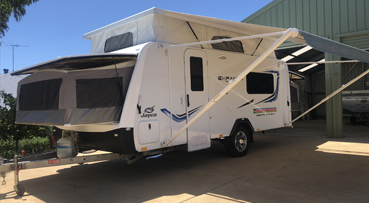 Our Jayco Expanda 16.49.4 pop top caravan is the most compact and comfortable choice to explore the many popular destinations around Australia with all the comfort of home. 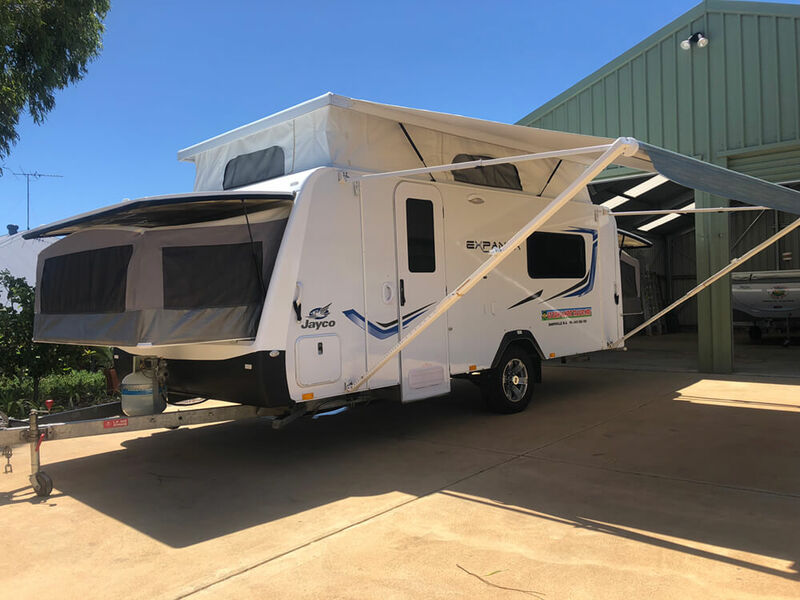 As this model is on road only you can set up a base camp to explore the more rugged areas without having to tow a caravan and return at the end of the day to your campsite all ready to relax in. 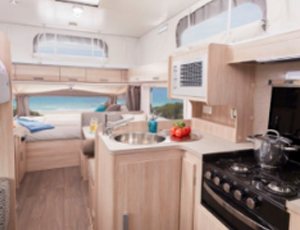 The Expanda contains 2 double beds which are folded down from both ends of the caravan. 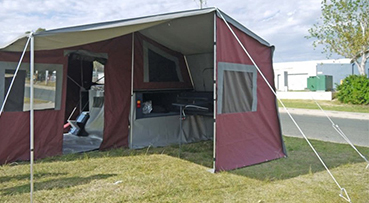 The canvas foldout sleeping compartments are something special and a favourite for a lot of campers. This is because when you unzip them, it’s like sleeping out under the stars. There is a bunk bed also for the kids. 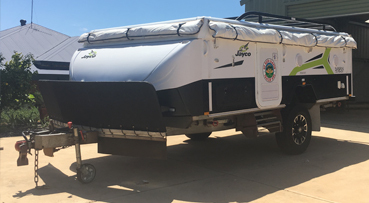 All up it can sleep 6 people. A fully enclosed annex is also available for those extended stays which will double the living space area. 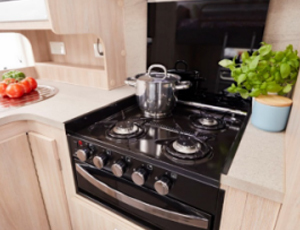 All your food preparation requirements are met with a microwave, 3-way fridge, combination gas electric stove/griller and all your crockery, cutlery and cooking utensils are provided. 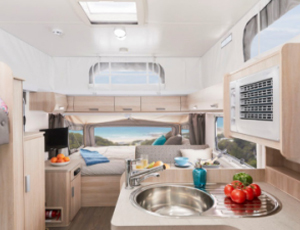 All you need to do is pack your personal gear, bedding, food and drinks and your sense of adventure as you head off on your next “Great Escape”. 150 L Fridge/ Freezer runs on gas, 240 volt & 12 volts. 15 Amp extension lead with POD 10 amp converter supplied. Longer term discounts do apply so call us for a quote. 1 week minimum hire during school holidays.